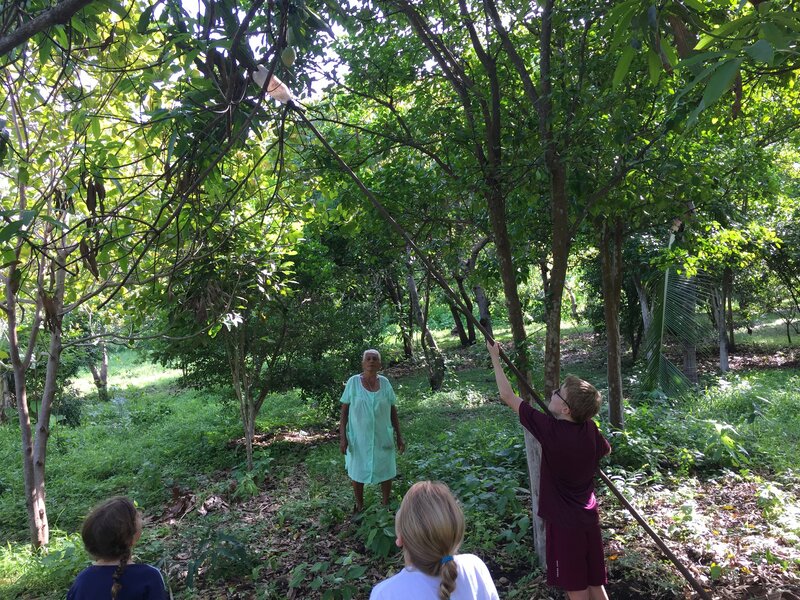 The Mission team from College Station served with us in some of the more remote, rural communities outside of Nandaime, Nicaragua. 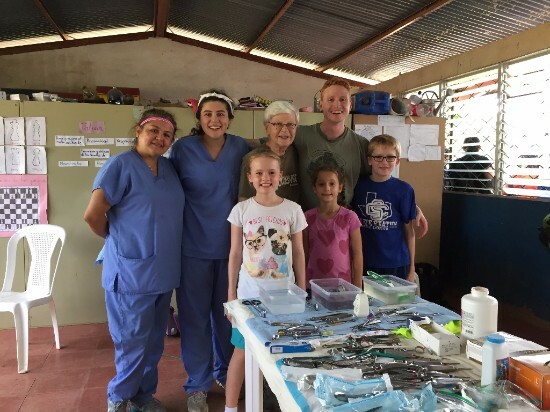 They worked very hard and brought much love (and medicine) to some of the most underserved areas. They all stayed together in a small farmhouse right next to the cattle pen and the resident roosters. Let&apos;s just say they always "enjoyed getting an early start!" 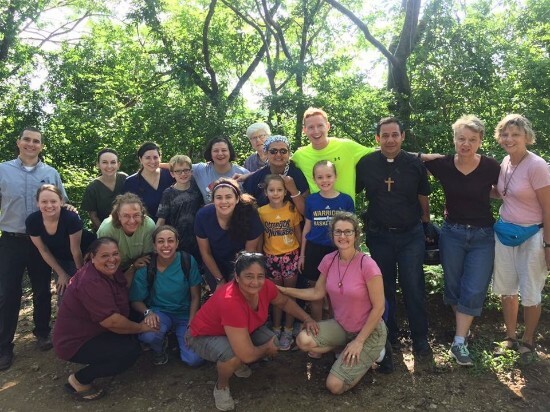 The St. Thomas Aquinas mission team, consisting of a doctor, physician assistant, dentists, nurses, translators and helpers was joined by a local optometrist, psychologist, ob/gyn and priest. 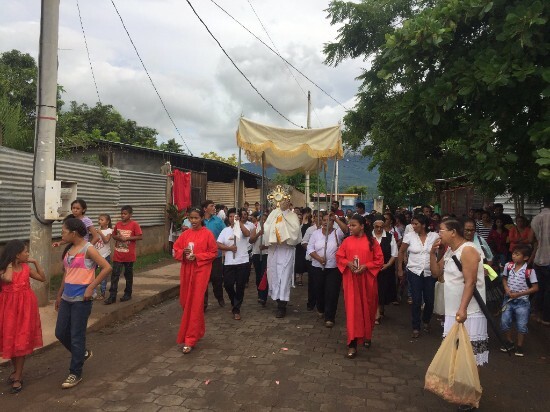 We began each day together in prayer with the community, celebrating Mass, and then attending to medical, dental, optometry and counseling needs. 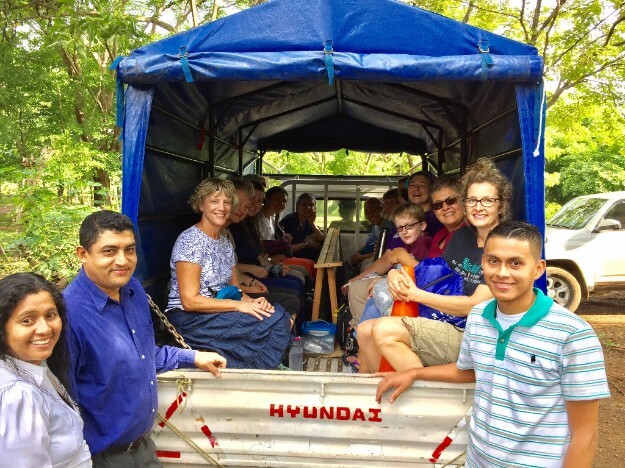 They enjoyed riding in the converted truck, aptly named "The Missionary", crossing rivers, seeing monkeys swing from the trees above, and making friends with Fr. 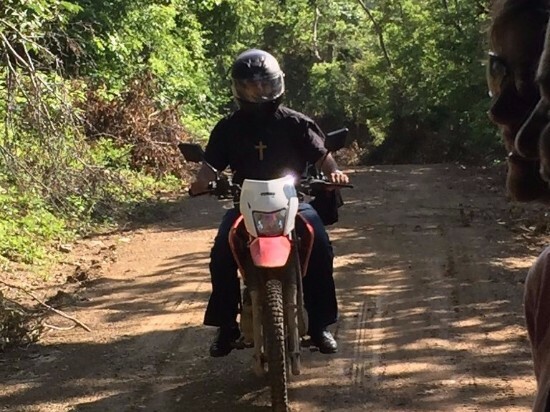 Martin, who rain or shine, always prefers to ride the dirt bike! 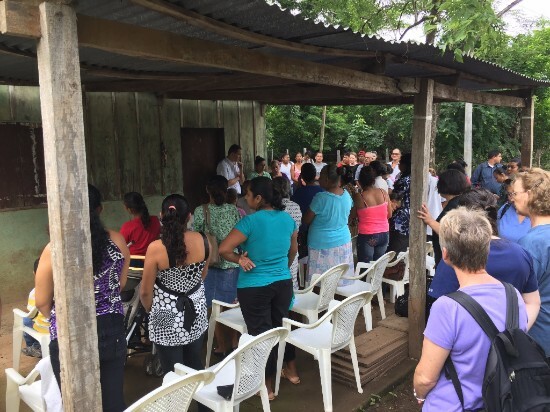 Above, one of the communities gathers for Mass on a porch, with dreams someday to complete the construction of their own chapel. Above, you see a photo of a typical community water well. 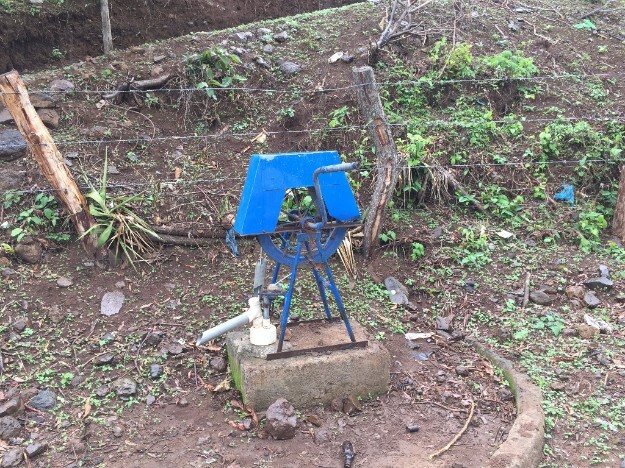 One of the communities we attended to on this recent mission was called "Ojo de Agua" which literally translates as "Water Eye", but has a meaning more like "Headwaters." Ironically, this community does not have access to water anywhere near their homes. The medical providers noticed that many of the women were complaining of severe neck pain. Upon further probing, we learned that many of the women balance 10 gallon containers (84 pounds) of water on their heads and walk for several kilometers daily. The lack of water intake, combined with the heat and manual labor, causes a high incidence of early kidney failure and a host of other medical problems. The locals really appreciated the dental care and the opportunity for eye exams. 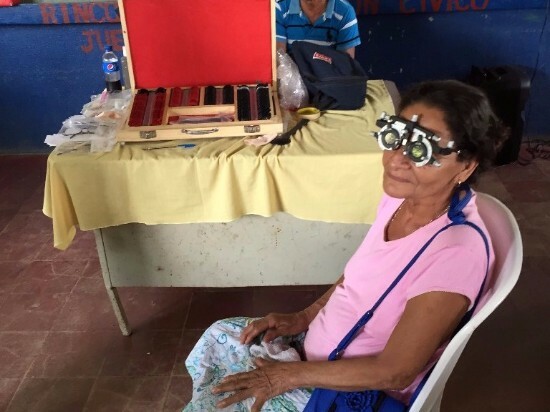 In rural communities where people live off the land, the lack of any disposable income (most live on $1-$2 per day), makes eyeglasses financially out of reach. The joy of watching someone see clearly for the first time in years and leave with glasses does make all the effort worth it. In the coming year, we have set a goal of bringing 18 weeks of optometry services and glasses to more communities like these. 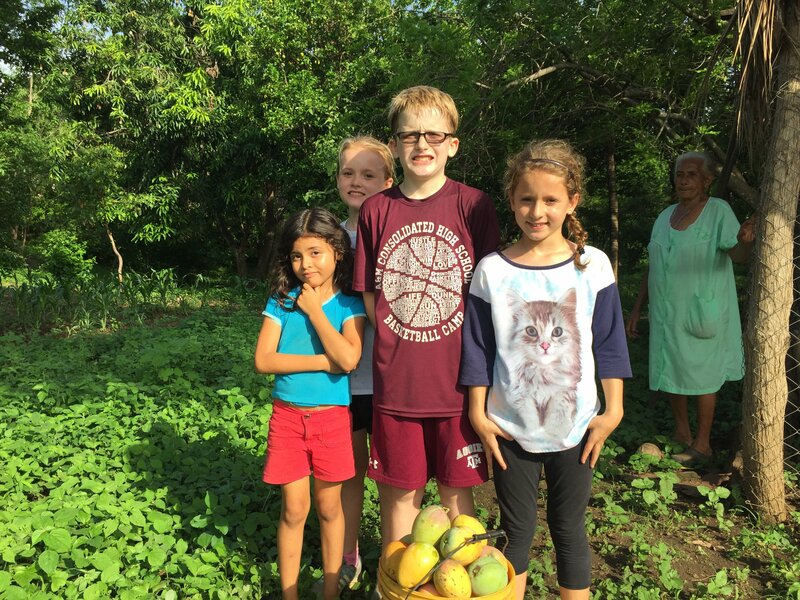 Our kids had a blast cutting mangos at a local farm near a chapel where we serve. They used an old 2 liter bottle with the end cut off, attached to a long stick. 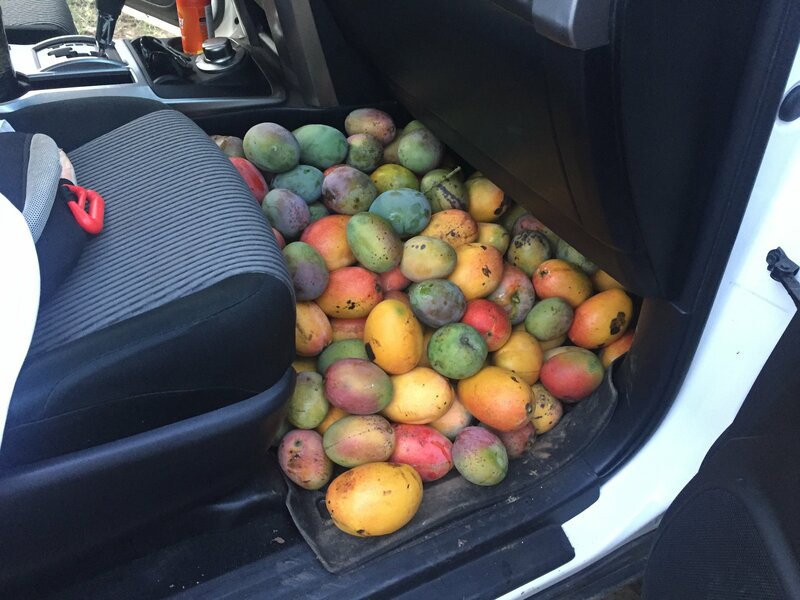 We all ate mangos until our mouths hurt, but it was well worth it! Pat continues to enjoy serving the spiritual needs of the community as a deacon. The Corpus Christi Procession was a beautiful witness in the community, although some unnamed children felt a 3 hour procession in the heat was a bit much! 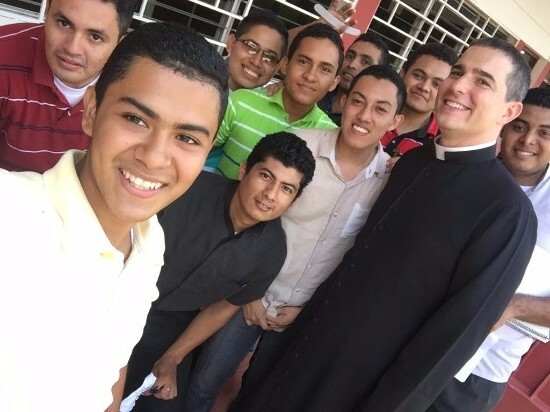 Pat just completed a semester teaching English to the future priests at the seminary. On the last week of class, his students insisted on dressing him up in a formal cassock! 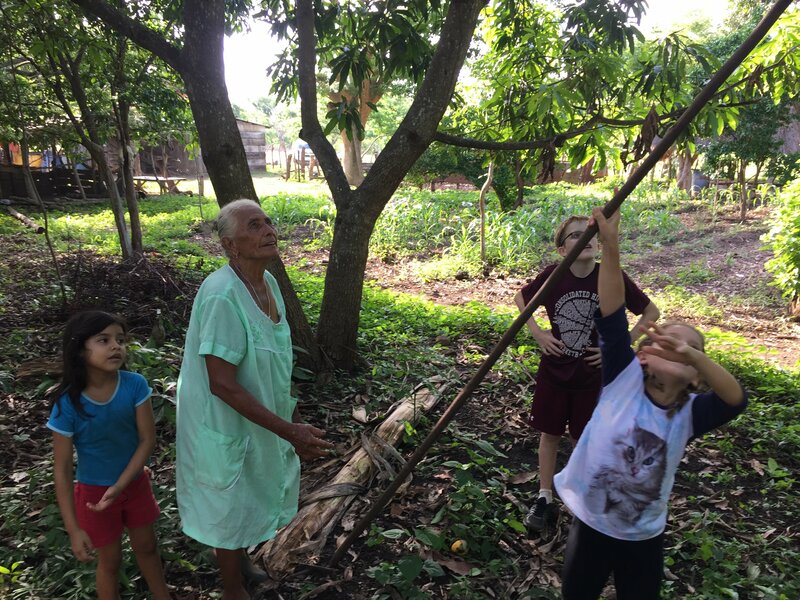 "During my visit to Nicaragua there are many memories that I could share...from the delicious plantains... to the crowing roosters on the farm where we stayed...to the memories created with the Moran family...to the zip lining on the Mombacho volcano. It was an amazing trip jam packed with good times. One of my favorite stories though involves one of the patients that I saw, which later became a friend. It was the first day of clinic, and my first day ever of practicing medicine as an official certified physician assistant. Just as the day was finishing and I was getting tired, our last patient came through the line and started talking to us in English. This was music to my ears since I do not know Spanish and had really been struggling with the language barrier. She had the biggest smile on her face and had 2 small children with her. One of her medical complaints was that she believed that she and her children had parasites. This is not an unusual complaint, but the what struck me about this encounter was the fact that she was smiling when she shared this information with me. 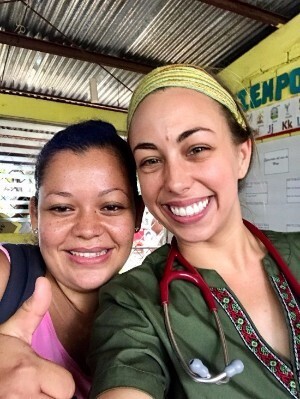 I cannot imagine seeing a patient in America sharing their need for parasite medication with a smile. I also cannot imagine being a mother and knowing that my children had parasites and not be able to help them due to lack of resources. Yet this is something that this family and many others in Nicaragua face everyday. This experience gave me a quick perspective check on that hot, tiring afternoon about how many amazing things in my life that I take for granted. We really do have a beautiful life and there is always something to be thankful for. We are called to be happy with whatever circumstances we are faced with- just as the women in this story. As it turns out, this patient showed up to clinic the next day and helped me translate the Spanish to English. She and I worked together all week long and formed a great friendship! On the last night just as I was getting ready to go to bed her and her husband stopped by the farm where we were staying to drop off a photo of their family for me to keep. I currently have it on my nightstand and love looking at it and remembering the story that I just shared. It&apos;s strange the stories that stick with you sometimes- this was a simple story that taught me a great lesson. I try to reflect on it often now that I am back in America and constantly faced with new challenges and limitations. I try to remember how beautiful my life really is, no matter the circumstance." 1. Today, Saturday July 22nd, we await the arrival of the Christ the Healer Medical Mission from New Orleans. In addition to outpatient visits, this team has a group of surgeons who will perform highly specialized uro-gynecological surgeries. Please pray for them, their patients and a successful mission. 2. We will be in Texas the first two weeks of August and especially look forward to being at the weekend Masses at our home church, St. Thomas Aquinas in College Station, on August 5th and 6th!